ARMAVIR /Krasnodar region/, September 27. /TASS/. Situation in the sphere of religion in Ukraine takes on an increasingly menacing character and members of the global community of Eastern Orthodox Christian Churches pay close attention to it, Reverend Alexander Volkov, the press secretary of the Patriarch of Moscow and all Russia Kirill I told TASS on Thursday. "It is well-known that the situation around the Orthodox Church split in Ukraine budded decades ago but it is now that the respected heads of local [national] Orthodox Churches are issuing warnings," he said. "This proves in a most obvious way that the steps taken by the Ecumenical Patriarch as regards Ukraine have complicated further rather than cleared the situation there." "The remarks coming from the Primates of the Churches are solitary for the time being but they interpret the situation in only one way - they recognize the canonic character of the Ukrainian Orthodox Church reporting to Metropolitan Onuphrius and the invalidity of the Constantinople Patriarchate’s steps [towards the canonical Church in Ukraine - TASS]. He recalled in this connection opinions voiced by Serbian Church Patriarch Irenaeus and Serbian Archbishop Irenaeus of Bac, remarks by Jerusalem Patriarchate, and statements of the ruling hierarchs of the Church of Alexandria and the Polish Church. "No doubt, these are solitary statements for the time being but they will lead up to a general discussion of the problem soon," Rev Volkov said. "Orthodox Churches will not keep silent." 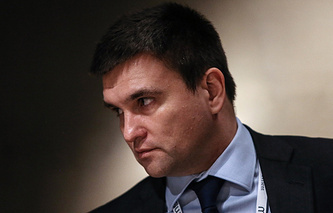 A decision on the form of pan-Orthodox discussion of the issue has not been taken yet, he said. "The Synod of the Russian Orthodox Church has decided to initiate a pan-Orthodox discussion," the Rev Volkov said. "The decision of the Synod means an appeal to the local Churches to express their shared opinion of the situation together." Metropolitan Tikhon, the Primate of the Orthodox Church in America [ONA] said in an appeal uploaded on to the OCA official website that its Synod of Bishops spoke in support of a permanent dialogue at all levels and urged all the local Orthodox Churches to react to the current crisis in Ukraine by convening a pan-Orthodox synaxis [assembly] where a true solution to the problem could be found. "The Holy Synod of Bishops of the Orthodox Church in America supports the need for regular dialogue at every level and appeals to all local Orthodox Churches to address the current crisis in Ukraine through the convening of a Pan-Orthodox synaxis, or similar conciliar process, wherein an authentic solution can be found to this problem," His Eminence Tikhon said in a letter. "We are prepared to participate in such fraternal discussions and will be reviewing the on-going developments of this situation at our Fall Session." "In the meantime, we call on our clergy, monastics, and faithful to offer their support and fervent prayers for His Beatitude, Metropolitan Onufry, and all the bishops, clergy, monastics, and faithful of the canonical Ukrainian Orthodox Church," the letter said. "May the Lord grant them continued strength and wisdom in their endeavor to "keep the unity of the Spirit in the bond of peace" (Ephesians 4:3)." 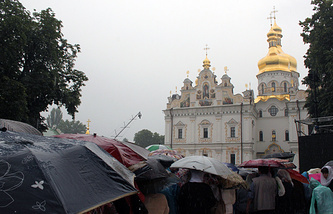 On September 7, the Constantinople Patriarchate appointed two exarchs to Ukraine, both of them ethnic Ukrainians, as part of what it said were preparations for granting autocephaly to the Ukrainian Orthodox Church. 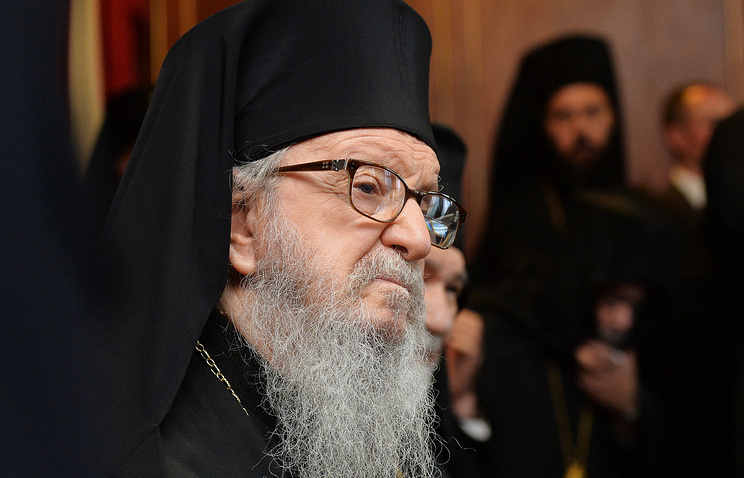 The Holy Synod of the Russian Church dismissed the step as a graphic violation of Church canon and then suspended the mentioning of Patriarch Bartholomew I during services in the Russian Church or concelebrating with the hierarchs of Church of Constantinople. Patriarch Bartholomew I said during a liturgy in Istanbul on September 23 Ukraine had the right to receive an autocephalous status for its Church and that the Ecumenical Patriarchate has the exclusive right to grant it.